When it comes to pain management and relief, we’ve come a very long way in a short time. Other now-ubiquitous anti-inflammatories like acetaminophen and ibuprofen didn’t arrive until the 1950s and 1960s. Cortisone, widely used in steroid injections today, wasn’t produced commercially until 1948. They may help you manage the symptoms of pain, but they aren’t doing much for the causes of pain. Now, there’s nothing wrong with providing symptom relief. Pain is obviously a bad thing. Successfully relieving it so that you can function normally and enjoy everyday activities is always going to be one of our top priorities. That’s why we still offer symptomatic treatments like cortisone injections, anti-inflammatories, pain medications, and the like. But at the same time, hiding the symptoms without addressing the root causes of pain or actually healing the chronic injuries underneath is an unsatisfying (and expensive) long-term “solution.” That’s why symptom-focused treatments are, whenever possible, paired with treatments that address the causes of pain. It’s been said that nearly 2 out of 5 Americans suffers from pain on daily basis. And too many of us rely on medications to keep symptoms at bay, with no real roadmap to getting off those medications. In our practice, this is especially true for people who are suffering from chronic inflammatory pain—think plantar fasciitis, arthritis, tendinitis, etc. For many of our patients, their chronic pain may not be responding to traditional conservative treatment protocols like rest, stretching, good shoes, or orthotics. At that point, it may seem like they only have two equally unappealing options—undergo surgery, or simply rely on pain-killing medications (possibly including powerful, addictive narcotics) to get them through each day. Fortunately, we have a better solution. 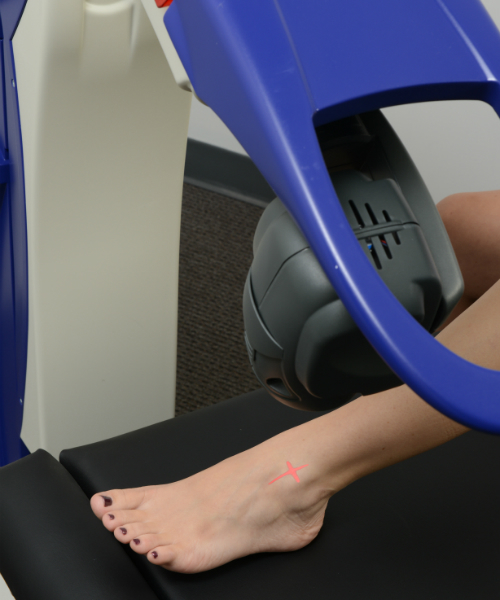 Laser therapy, which has just started to become more widely available, is another huge leap forward in the fight against pain—and something we’re proud to offer to our patients. It doesn’t just treat the symptoms of pain. 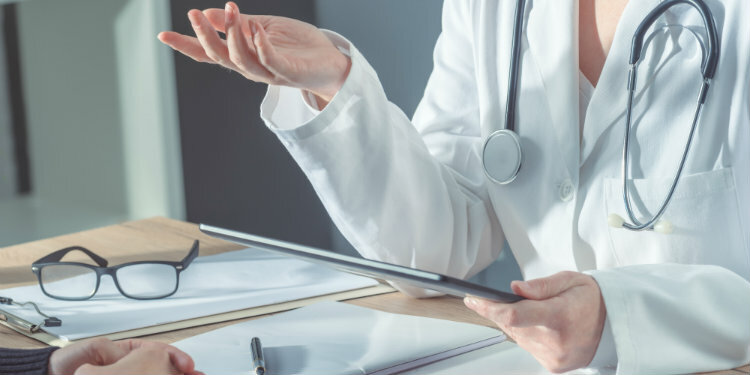 As we said, symptom-based treatments are typically used alongside with etiology-based treatments to manage pain and correct the source of dysfunction and pain. But MLS laser therapy does both—and does both extremely well. On the one hand, laser energy is used to trigger analgesic and anti-inflammatory effects in cellular tissue. Improved drainage and dilation of blood vessels reduces swelling; at the same time, nerve sensitivity is reduced, blocking the transmission of painful signals to the brain. The result is rapid relief from the symptoms of pain and inflammation. But that’s not the only effect. The laser energy also boosts vascular activity and metabolism and energizes and accelerates the natural tissue healing and regeneration processes already at work. In other words, acute injuries will heal faster, and chronic injuries can actually heal at last, after stalling out months or even years ago. We are so used to treating pain with drugs. More pills. More shots. More prescriptions. Laser therapy bypasses this completely. It is a completely drug-free treatment. It doesn’t even require anesthesia, since the procedure itself is completely painless. It’s a complete 180 (in a good way!) from what we’re used to, and in the long run it can greatly reduce or even eliminate your reliance on medications for pain relief. Virtually any medication you take is going to have side effects—especially if you take them long-term. Too many cortisone shots, for example, can weaken tendons (as well as produce localized swelling and pain for a short time). Even an over-the-counter anti-inflammatory like ibuprofen may induce mild nausea, itching, or intestinal distress. And of course, the biggest risk with stronger painkillers like morphine,Vicodin or OxyContin is addiction. There’s currently an opioid crisis in this country—an estimated 2 million Americans are thought to be dependent on these kinds of drugs, and most of them started with prescription painkillers. Not only is laser therapy non-addictive, but there are no known side effects of any kind. That’s because it’s not introducing anything new into your system or changing the way chemicals react in your body—it simply “kick starts” and temporarily accelerates the natural processes your body is already engaged in. Now, we know that no treatment is guaranteed. However, we have seen some truly astounding success rates with MLS laser therapy—nearly 90 percent success, in fact, in terms of relieving pain and inflammation. And you don’t have to wait until the very end of the treatment course to start feeling better. The effects are cumulative. While maximum results will take a little time to achieve, most people report noticeable improvement in their symptoms after just a couple of treatments. That means almost right away, you could be doing more, living more, and cutting back on your medication use. If you want to learn more about this exciting treatment option, including how it works and what kinds of conditions it can treat, be sure to check out our service page on the topic. And of course, if you’re ready to take on and overcome your pain for good, give us a call today. You can book an appointment at our Medford, Oregon office by calling (541) 776-3338.